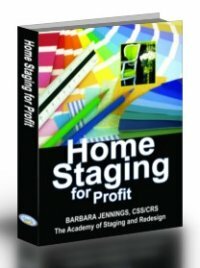 Best Selling Author, Barbara Jennings, reveals the secret insider tactics that have helped thousands start, grow and manage highly profitable businesses as top home stagers - in spite of the economy. Read this letter thoroughly and completely . . . The business of home staging has never been better. Here's why. Homeowners can no longer rest on the same strategies to sell their home. Homes on the market needed staging services are up dramatically. Extra effort is needed to make their property stand out from the crowd. So the services of a home stager are needed more than ever no matter what the economy is doing. Lenders need help - adding another entire group of prospective clients at your door. On top of that, building a secondary source of income for yourself and your family is just plain smart - even in a great economy. One thing is sure. Those that plan ahead and build more than one or two income sources are smart. They are the people who can weather any storm and come up smiling and happy. Imagine yourself having more money to spend on things you need and not just on bills. Imagine yourself being able to save for the future, not having to worry about the security of your job. Imagine yourself paying off your car loan or your mortgage payment in advance from your profits. Imagine crawling into bed at night, happy that you've helped someone else enjoy their home more fully or be able to put up a for sale sign with confidence. Last week I visited a client's home that was in bad need of repair and tender loving care. The husband and wife are getting a divorce. Time is of the essence to sell so they can move on with their separate lives. While they are doing most of the repair work themselves, they needed me to come in and consult with them, give them a professional plan of action and rearrange their furniture and accessories. They were thrilled with what I was able to accomplish in just a few hours. I cannot tell you how many times the wife thanked me for my help. What a great feeling for me and an honor to help them. In many ways, I feel I was more blessed than they. What a great way to earn a living. Learn from a Professional with 40+Years of Experience in design, not just staging, who has built 4 home based businesses and is ready to help you do it too! In the home staging training arena, there are now many people promoting their eBooks, manuals, seminars, classes, membership sites and a myriad of other methods and products. Some good. Some not so good. Some honestly quite terrible. I can only imagine how crazy it must be to you to disseminate one from another and try to make sense out of the maze of claims and rhetoric splashed around on the internet. And so you must be asking yourself right off the bat: Why Should I Accept You as my trainer? Well, you've got a dilemma of some sort. I've got a solution. But not just any solution or one thrown together in the last week or month. My solution took 6 years to develop and grow and it's based on my 35 years in interior design and building my own design businesses. That's right - I'm not just a home stager; I've got a wealth of business experience in about 4 different types of design businesses all coming together into one place to be passed on to you. It's based on my thorough, in-the-trenches methods and techniques. Some of them are what you might call "old school". But no matter how fancy technology gets, there are some old school methods of building a business (any business) that will always be part of a smart, savvy business person's arsenal. These techniques are always powerful and always effective. I know, I know. You like all those bells and whistles some of my competitors are throwing at you. Who wouldn't. But I hope you're savvy enough to recognize that just because something is "new" or "looks fabulous online", it isn't better - it's just new. Untried. Unproven. Quite possibly ineffective. Which is why you can't rely on computers, fancy technology and the like to build a successful business - home staging or otherwise. As the author of the most popular book on the subject of starting a home staging business, I can assure you that the details and specifics are just waiting for you to discover them. TESTIMONIAL - "I had bought Home Staging for Profit and it was the best book I have found. I have several books on staging and this is by far the best out there. 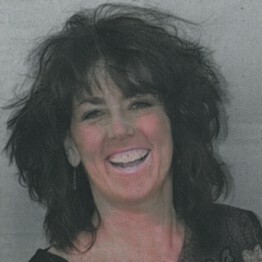 - Janelle Hendrickson, Utah"
TESTIMONIAL - "Barbara, Thank you for your kind words. Here is the article that I was chosen to be a designer for in the Rochester New York Democrat and Chronicle newspaper. I was on the front page of the Real Estate section for the second time in 5 months for a particular "Design Dilemma" series that's only written once a month! I just had a local builder contact me just to tell me that if I ever needed a recommendation on my work, to let her know. I couldn't be happier or busier. I truly appreciate all of your help. It amazes me that a woman as busy as yourself always answers my phone calls and emails immediately. I'm finding that people are so nervous about getting their homes sold that they see home staging as their "golden" ticket! I feel like I picked the perfect time to get in this business. Congratulations on your new book going to press. I am thrilled, pleased, and honored to have some of my work featured in it. Thank you so very much. Have a wonderful new year! Gratefully, KN, CRS/CSS"
Only read further if you consider yourself intelligent, highly motivated, able to discern fact from fiction, determined to be a success (no matter what), ready for action and looking for the best, most experienced trainer you can find. Review from Midwest Book Review - "Business collections catering to real estate readers or those seeking careers in home staging will find HOME STAGING FOR PROFIT a unique, important and specific acquisition. Begin in 7 days or less, work from home, and build up a six-figure business with a guide based on the author's years of work. From furniture rental and business record-keeping to check-lists for sellers and enhancement design tips, HOME STAGING FOR PROFIT is a unique 'must' for any library catering to either re-career readers or those seeking tips on home staging." Brand New - I've also included a 50-page downloadable PDF with access to a 50-page downloadable PDF with colorful before and after pictures of 36 staged rooms plus notations. Also included in the PDF are 40 colorful staging tricks used by professional stagers to sizzle the homes. No other author goes to such extremes to meet the needs of their readers. "Please accept my sincere gratitude. Your books (which I recently ordered and read) are absolutely packed with information. I’ve been a practicing interior designer for the past few years and decided recently to add staging to my services; my degree is in Interior Design but many of the items you present in your books are not addressed in college programs. There were several books/classes that I considered but in all my research your name came up repeatedly as the best “no-nonsense, down-to-earth, frank” staging book. I have spent a substantial amount of money on classes, books and webinars over the years and what you provide is worth far more than what you charge. Many thanks!" We get over 2,000,000 hits monthly on our websites. So the chances of being discovered in our directory are excellent. You may be wondering why we'd give you a business listing in our phenomenal directory instantly, without training and/or certification by us or anyone else. Well, this is why. We want you to be successful immediately and one way we do that is to generate leads for you. We host the most popular, largest staging and redesign directory on the internet. You'll be listed right away when you take our home staging business training (details below). I am the originator of home-study programs in staging and redesign. I've trained thousands all across the country, in Canada and other foreign countries since 2002 (but I staged my first home in 1975). I'm kind of what you call a "low profile" trainer, preferring NOT to seek notoriety of any kind but quietly producing books and sales aids, directories, CDs, videos and so forth to help my huge list of students. I actually revolutionized the whole training process in the industry because when I started out the only help available were expensive seminars. Most didn't even have a book to give out, just a few handouts. I can't (and won't) promise you immediate leads from the directory (no one can do that), but if you get contacted for services before you're ready, just tell the party that you're "booked" for the moment and don't accept any projects until you feel personally ready. But in the meantime, you'll have your listing up and have the ability to choose for yourself when you are "open" for business. So with that said, let's move forward. As I said, this training includes a Listing in The Academy of Staging and Redesign - Directory (the Fastest Growing Directory on the Web - worth $100 per year). Some students are getting leads before they even get their training finished - it's that effective. Sample Page (Please do NOT contact the members unless you are planning to hire them. You would want your privacy respected. So do they.) NOTE: Listings will include the phone number and email address you use when you purchase the material unless you notify us of a different contact means you wish us to use instead. The directory also has a form you can use to request changes to your listing. Don't just buy a cheap book on home staging by itself. Big mistake. Get a business listing, along with your training, in the fastest growing directory on the internet. We're spending tens of thousands of dollars every month advertising our website and directory. Trainees are getting calls and emails regularly, often before they even finish training. TESTIMONIAL - "My first inquiry about home staging just came from a woman who got my email address from your site! Wow and thanks! 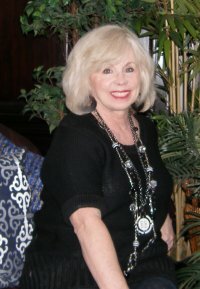 Anna Pritchett"
TESTIMONIAL - "Hi Barbara, I ordered two training books from you. Home Staging for Profit and Rearrange It. Outstanding. I have already received two request from your listing service. I am so excited. Thank You, Thank You, Thank You. (Three's are better than one SMILE) - Felicia Rashid"
Quite simply, one of the most obvious differences between my training program and the rest of them out there is that I have made it possible for the average creative person to have a shot at breaking into this fabulous career without forking out thousands of dollars. And I'm the only one who offers a money back guarantee. I can do that because I'm totally confident you'll love the training you receive and wouldn't give it up for any amount of money. I also offer the most comprehensive tutorial you'll find anywhere at any price: as I said earlier, it's 256 pages (8-1/2x11) of no nonsense home staging training. Whether you get the manual or the eBook, they both contain the same identical information. Your First Step to a Lucrative Career in Home Staging is Finally Here! Home Staging for Profit ! is 256 pages updated about every two years, 8-1/2x11 in size or as an eBook (2008 version only). You can get either format or both. The eBook is downloadable immediately to be read on your computer (not printable). The newly updated printed version is shipped via UPS ground, usually leaving the following day. And I've got a bunch of bonuses I'll tell you about in a minute - including a business listing in the Academy of Staging and Redesign - Directory, which you get no matter which version you invest in. There's a lot to learn but it's all laid out for you in a sequence that makes sense and written so that practically anyone can understand it easily and instantly. You can always get your questions answered immediately just by filling out one of my forms and submitting it by email or picking up the phone and calling me. You will also be given my direct email address so that you can ask me questions that pertain to your own situation. I am a world class trainer. What's that worth? I've been kicking around for decades. And I'll be around for a few more decades - but you won't need me that long, as you'll become an expert yourself in a very short period of time. I developed many of my strategies and tactics and methods myself. Everything, practically, that you see on this website has been developed and created by me exclusively. There are about 3 tools of the trade that I offer that were manufactured by other people - but all of the training, the courses, the bonuses, postcards, scripts, slideshows and the website itself were created by me. So if I can do all this - do you think I have what it takes to help you become successful and realize your dreams? If this website doesn't convince you, nothing will, so please don't write or call me and ask me to prove myself to you further. My competitors average about 10-15 pages on their website, while I have labored for years to bring you over 800 pages of information, the lion's share being free tips. If that's not enough commitment for you, then I don't want you as a trainee. Please go elsewhere. You'll have access to me and all you need to do is send me an email and I'll personally respond right away - usually the same day I get your email. You won't get some assistant either. You get me. No other author offers you that, just for the price of a book! You see, I recognize that concepts and theories, principles and procedures are great, but sometimes people need more input just for their situation. Without proper application of the best strategies in the world, you'll not gain what you hope to gain. That's why I'm willing to mentor you long term, as a special free bonus. I currently spend a fair amount of my time each day answering questions posed to me by trainees. These often wind up in my business building newsletter so that everyone can benefit. Yeah, you bet, I take care of you the right way. I was once told by a student that a high priced seminar trainer took two weeks to respond to her phone call. Unless I'm sick or out of the country, you'll hear from me the same day I get your email (assuming I get the mail - technology isn't perfect yet). "I was so disappointed with the seminar I took I almost quit the business before I got started. Your tutorial was exactly what I needed. Thank you soooo much for making it so thorough and affordable. You're a real blessing. - Tina A." "Hi, Barbara, thanks for answering my questions the other day. As you know, I got the training and was literally blown away with all of the incredible detail and how easy it was to follow the plan. Your check list for every room in the house is fantastic. Thanks for living up to your promises. - M. Avenido"
Within minutes you can start your new business as a home staging consultant. It's prestigious! It's fun! It's creative! It's easy! You do have to work at it, we won't kid you, so if you're lazy, it's not for you. But if you enjoy people, you crave color and design and creativity, you like to fix things, you like to solve problems, and you like to help people, this is where you belong! At least check it out! TESTIMONIAL - "Thanks SO much for your assistance….you guys sure do go above and beyond to help out! Kindest regards, Dawn Govender! (South Africa)"
Order now. Cause if you wait, I guarantee you'll never do it and five years from now you'll be regretting it big time! Ground floor opportunities don't come along all that often. Home Staging is a growing field and new competition enters every day. Don't let your neighbor take the clients you should be getting. Don't let your best friend lock up the real estate agents you should have. Right now there's very little competition in huge segments of the country but it won't always be that way. Get your credit card out now and get ready to place your order. 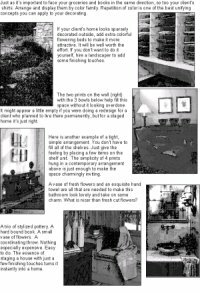 SEPTEMBER 2008 - "Fabulous, uplifting newsletter! No matter what your position is at this moment, everyone can use an uplifting and supporting message!!!! Thank You for this invaluable service, Debbie Muccillo"
Remember, you're not just buying the basic business tutorial, you're getting a listing in the Academy of Staging and Redesign - Directory, a copy of Great Parties! Great Homes! to kick off your promotions of your business, plus all the other bonuses mentioned above, in addition to the ability to have Barbara Jennings as your personal mentor (by email) at no additional charge. If you're not sure about doing this as a business, consider getting the printed manual by itself. The bonuses mentioned are available "a la carte" as well. Don't delay as this price does go up from time to time. You're not going to find a training program out there that is so affordable, so instant, so convenient, so thorough - and gives you a directory listing too. Because of the proprietary information included in the training, and the exclusive listing in our highly promoted directory, and because we spend thousands of dollars monthly on advertising for the directory, and because of the fabulous bonuses worth over $200 we give you, and because your follow-through to action is often measured by your investment commitment, our training and directory listing is non refundable. There is a saying, "When a student is ready, the teacher will appear." I'm not saying you won't get good training in other programs (though I get letters all the time from unhappy people who were disappointed in the seminar or teleconference they took). I do not claim my program to be all things to all people. No program can be that. But I just want you to evaluate carefully the differences, especially regarding prices and the future freedom you will or won't have to conduct your business as YOU see fit. Join an organization/association = give up many of your freedoms and possibly the very success of your business. Make an informed decision, that's all (and consider putting your investment into building your business, not in training for it). You're not trying to become a doctor, a minister or a full service interior designer. You're merely learning how to more effectively stage a home seller's home for market or give them solid, informative consultation services. It's a no-brainer. You're in total charge of how in-depth your services will become. If you skipped down here without reading the above information, please scroll back to the top and read. You owe it to yourself. You'll be glad you did. This is "straight talk" about staging. We invite anyone to check out our rating with the Better Business Bureau. Click on the image above to read about us. What do we know about other companies promising guaranteed employment? We have been getting inquiries about other companies offering guaranteed employment. We have not investigated those companies nor their claims but know that some people are expressing their feelings on the internet in blogs and other forums. 1) Blog and 2) Blog. "Dear Barbara, I am really enjoying my program and am learning a lot from it. I went tool shopping last night (so exciting) and feel like I'm ready to go :) - Amanda Carthey"
"Let me say up front that I have been looking over your website for several weeks, before I purchased the 2 books. You have an incredible amount of useful info that I have been reading. Thanks for such an informative site for people like me who didn't know what a home stager was 4 weeks ago! - Margaret Joyner"
"I was blown away by the scope - it's a $5000 course! - Karen Lockwood"
"Barbara, your Gold Staging Course was so thorough it blew me away. I can't believe that I almost signed up for an expensive seminar to learn this business. I've already got two realtors interested and an appointment with a third lined up. On top of that, one realtor gave me a great referral for my redesign services. I'm so grateful I found your website. - Candace Wallace"
Well, being a good realtor, Rosemary, held the open house today, as scheduled, and the owner received another offer!!!! UNBELIEVABLE!!! The bidding war is on!!! I am tickled pink! And hopefully, one of the offers will be just the right one to get the home sold. Just wanted to share, Candi Hutchison"
"I have just received your "Home Staging for Profit" book and I have read it from cover to cover. I have done a great deal of research, over the past six months, regarding home staging training materials and your information, writing style, and sense of humor is head-and-shoulders above your competition. You certainly answer the age-old question "where's the beef?" of home staging. You give your trainees the 'triple decker whopper' of information, in an easy-to-understand, logical, common-sense order. I thoroughly enjoyed reading your book and it filled many knowledge gaps, which was my goal! I sincerely appreciate your incredible talents, in consolidating all of this information into one book! I will be referring to it, FOREVER. Your approach, outlook, and business/marketing savvy has impressed, as well as inspired, me. - DiAne Benzie"
"Wow! That's all I can say! This is your best effort yet! - Irene Cosmos" "I've looked at the seminars and decided to choose your training. I'm really impressed and feel I really got my money's worth - and then some. Thanks for sharing all this great information. I'm so excited now. - Shirley Anderson"
"After reading your eBook I was blown away. Congratulations! Wonderful detail that has already helped me immensely. - Joan Shirling"
"Barbara - Thanks very much for your responsiveness and excellent customer service in addressing this item. I truly believe that successful businesses demonstrate effective customer service and you are an outstanding role model. - Betty Robinson"
"I can see why you are the most sought after online trainer. Your basic training manual was really thorough and I really feel confident now. I've been doing staging for friends but wasn't getting paid and I always felt like something was missing. You have helped me so much. I'm very grateful that you have been willing to share what you know with the rest of us. Thank you." - Melody Schelfeld"
"After studying your book Home Staging For Profit I just completed my first home staging job. My clients, their real estate agent, and I are all happy with the results. So thank you for all the valuable info in that book! - Lynnette Ludviksen"
"Once I started studying it, I realized Barbara Jennings has an excellent program, and the book is well worth the price. I was just about to take Barb Swartz's course, and have cancelled. Since I'm currently studying interior design at Rhodec, the information I need is in your program. Thank you, Susan Mascia"
"This book should get a “10” rating and so should the author. I purchased the book some time ago, thinking I might start a staging business. But life happened and I found myself needing to sell my home quickly since property values are predicted to plunge even lower by the end of the month. I decided to have the author come and stage my home for me. I found her to be truly professional, knowledgeable and creative, doing all the things she teaches in her book and more. I am truly pleased with the results and my agent was astonished at the improvements made in a matter of hours. Once I get settled in my new home, I will definitely pursue the staging business as she made it look fun and easy. I know I have a lot to learn but I feel very fortunate to have a copy of this book to guide me. If you’re serious, this is the book for you. - Sandy C."